If any man cometh unto me and hateth not his own father and mother and wife and children and brethren and sisters, yea, and his own life also, he cannot be my disciple. This is a hard saying, who can bear to hear it? For this reason it is heard very seldom. This silence, however, is only an evasion which is of no avail. In the verse immediately following there is a story about a man who desired to build a tower but first sat down to calculate whether he was capable of doing it, lest people might laugh at him afterwards. 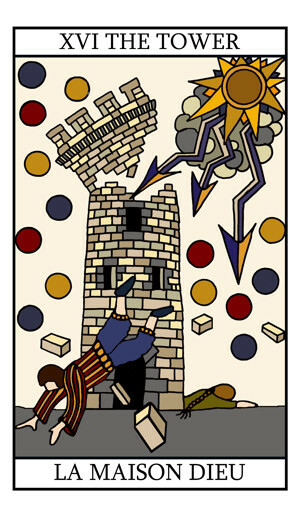 The close connection of this story with the verse here cited seems precisely to indicate that the words are to be taken in as terrible a sense as possible, to the end that everyone may examine himself as to whether he is able to erect the tower. The words are terrible, yet I fully believe that one can understand them without implying that he who understands them has courage to do them. But we must be honest, and not interpret this lack of courage as humility, since it is really pride. One can easily perceive that if there is to be any sense in this passage, it must be understood literally. God it is who requires absolute love. But how hate them? If I regard the problem as a paradox, then I understand it, that is, I understand it in such a way as one can understand a paradox. This is shown by Abraham. The instant he is ready to sacrifice Isaac the ethical expression for what he does is this: he hates Isaac. But if he really hates Isaac, he can be sure that God does not require this, for Cain and Abraham are not identical. Isaac he must love with his whole soul; when God requires Isaac he must love him if possible even more dearly, and only on this condition can he sacrifice him; for in fact it is this love for Isaac which, by its paradoxical opposition to his love for God, makes his act a sacrifice. People commonly refrain from quoting such a text as this in Luke. They are afraid of giving men a free rein, are afraid that the worst will happen as soon as the individual takes it into his head to comport himself as the individual. Moreover, they think that to exist as the individual is the easiest thing of all, and that therefore people have to be compelled to become the universal. I cannot share either this fear or this opinion, and both for the same reason. He who has learned that to exist as the individual is the most terrible thing of all will not be fearful of saying that it is great. He knows that it is terrible to be born outside the universal, to walk without meeting a single traveller. Humanly speaking, he is crazy and cannot make himself intelligible to anyone. Sören Kierkegaard – Fear and Trembling. Is there such a thing as an absolute duty toward God?